Miami Heat finally found a way to defeat the Atlanta Hawks following their 0-3 win-loss record this 2018/19 season. In a game that has 12 lead changes and four ties, Heat was able to survive with a 114-113 win at the AmericanAirlines Arena to have a season-best three-game home winning streak. 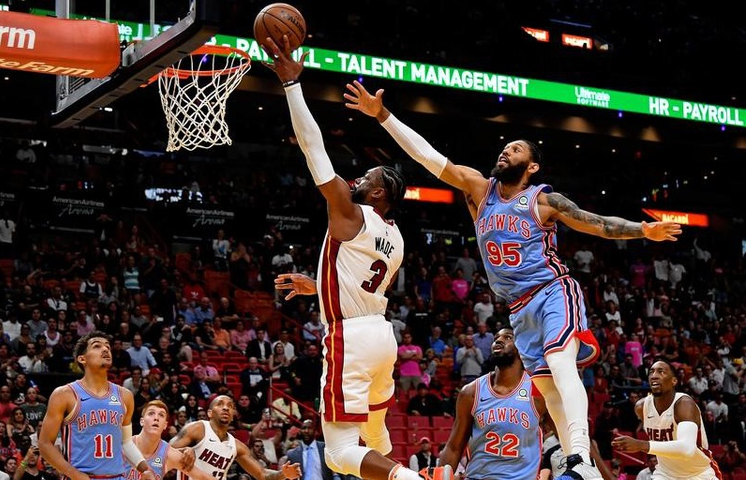 The game was very tough because the Hawks was able to cut the 10-point lead by the Miami to 1, but the Heat was able to pass the ball around during their possession until the time expired to avoid the intentional foul and hold the one-point win. Thanks to the 13th NBA All-Star Dwyane Wade as he guide the team to a very important victory with his 23 points, five assists, and two rebounds. In addition, Josh Richardson contributed 19 points while Justise Winslow had 18. Meanwhile, it was a special game for Wade, who finished two blocks to pass NBA legend Michael Jordan and become the greatest shot-blocking guard (regular season and playoffs) in the history of National Basketball Association. On the contrary, veteran Vince Carter helped the team with 21 points and 7 three-pointers while Kent Bazemore added 18 points with seven rebounds. Moving forward, the Heat, who still remains in 10th place in the Eastern Conference, is now just percentage points behind the eighth and final playoff spot occupied by Orlando. Also, Miami has the same record as the ninth-place Hornets with 29-34 win-loss record, but is behind Charlotte based on the head-to-head tiebreaker. The Heat will now travel to Charlotte to face the Hornets on Thursday, March 7, 2019 at 8:00 AM (GMT +8). The Hawks are going home to prepare for their matchup against the San Antonio Spurs in State farm Arena on Thursday, March 7 at 8:30 AM (GMT +8).